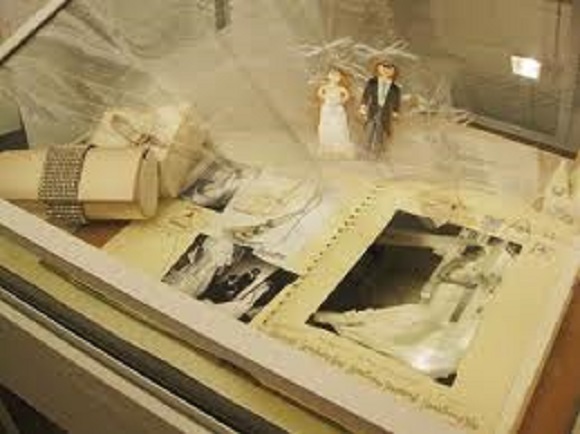 Wedding scrapbooks are another, easy to do alternative when it comes to preserving your wedding memories. Thought scrapbooking is just for kids? Think again, as we walk you through some unique wedding scrapbook ideas. A wedding scrapbook can be a perfect sentimental souvenir of your wedding day. From pieces of fabric from your dress to a few petals from the flowers you selected with care – you can pick and store tiny mementos of your wedding in a beautiful scrapbook. And just to prove that not all scrapbooks are created equal, you can select from any of the themes below. 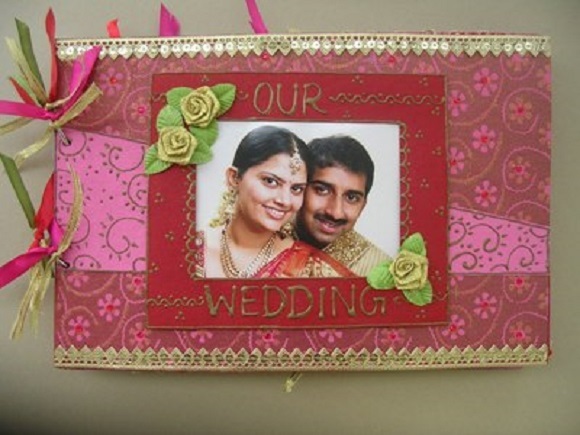 Create a scrapbook that centres on your first dance. Apart from pictures of yourself, you could include pictures of your parents, or close friends and family. From a photo of the venue to fabric of the decorations used at the venue, you can do a lot to preserve this memory! Some brides like to include snippets of their wedding reception invite or other important stationary in the scrapbook. Preserve memories of your traditional wedding by collecting souvenirs from every event. 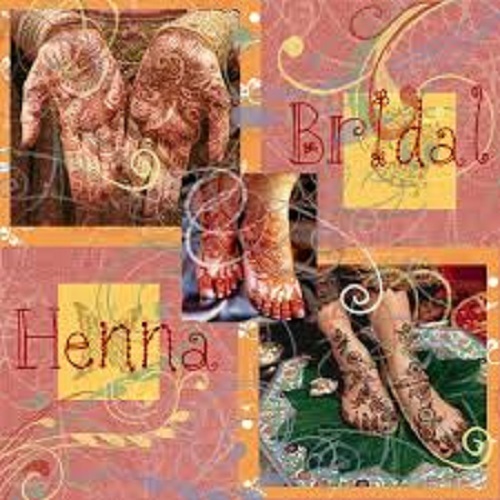 Starting with the henna ceremony, include pictures of the mehendi design to pictures with girlfriends at the event. For your wedding, you could include fabric from your outfits – the groom can include a piece of his headgear or a button from his wedding sherwani. There are many ways to express your creativity. Using colours and themes from the wedding help in creating a unique scrapbook. Go the vintage route and make an album that’s entirely in black and white. Select pictures that reflect a classy, elegant affair and you can’t go wrong. Ask your photographer to create pictures that have a vintage, old-world feel to include in your personal scrapbook. Preserve bits of table linen and flowers to include in your scrapbook. Odds and ends have a fascinating way of coming together to create unforgettable wedding memories. Love flowers? If the wedding theme was everything floral, your wedding scrapbook can recreate the sights and smells of beautiful flowers from your wedding. From selecting paper and pages that are lightly scented to preserving your wedding flower petals, you can go all out in creating a one-of-a-kind scrapbook. If friends were a big part of your wedding, create a wedding album that reflects your friendship. Were you introduced by a close friend? Or were you friends before you decided to tie the knot? Alternatively, if you’re part of a close friend circle, make an album that reflects your friends’ roles in your wedding preparation. This works for both bride and groom. Did you have the perfect Cinderella story? Was your wedding a dream come true? Go with a dream wedding theme and incorporate every element that made it special for you. From your beautiful ring to your princess-like outfit, spare no detail! If your partner took you on a honeymoon that was out of this world, add your flight tickets and itinerary to the scrapbook. Pastel colours and an old-style font go a long way in recreating this fairy tale romance. Another great idea is to click your own Polaroid to capture your most important moments at the wedding. You get to be in charge of the shots you like and sometimes having a rough, do-it-yourself feel can add a personal touch to your scrapbook!